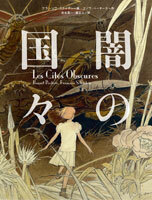 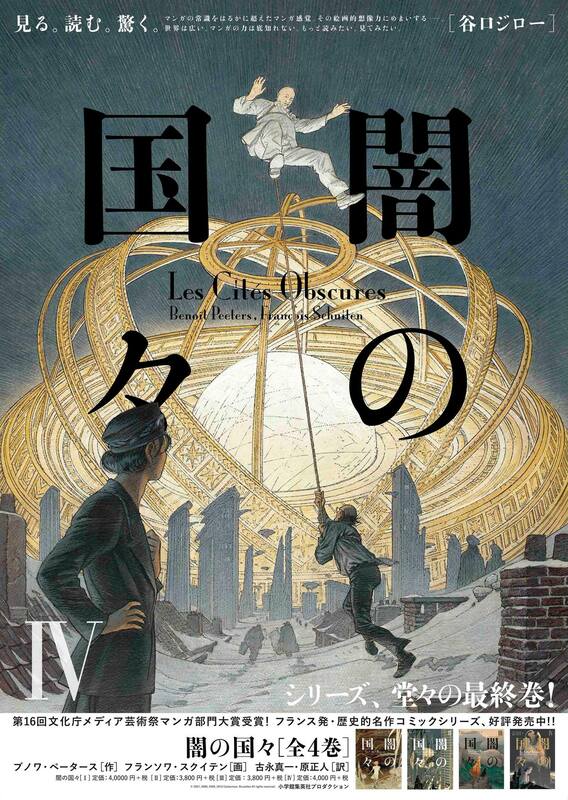 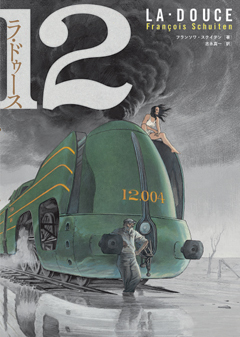 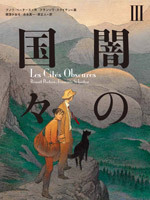 Also 12 La Douce is translated in Japanse and has been released in June 26, 2013 1). 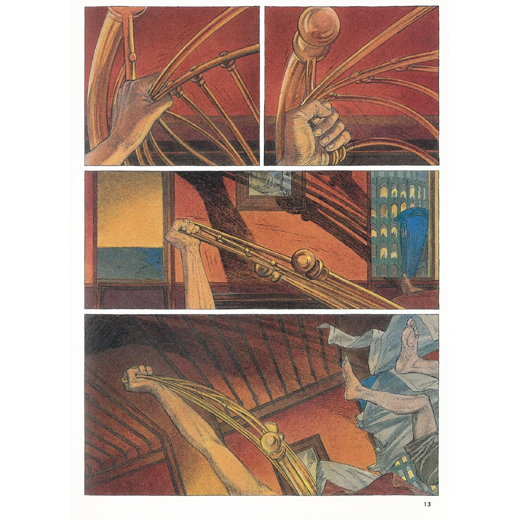 A limited serigraph was released together with the album. 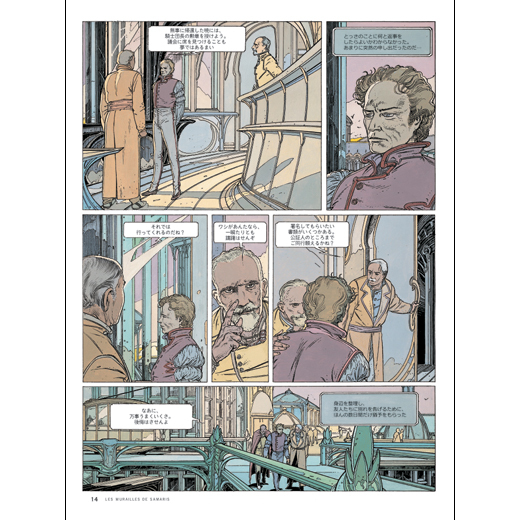 François Schuiten and Benoît Peeters visited Japan in 2012 to celebrate the release of the second volume. 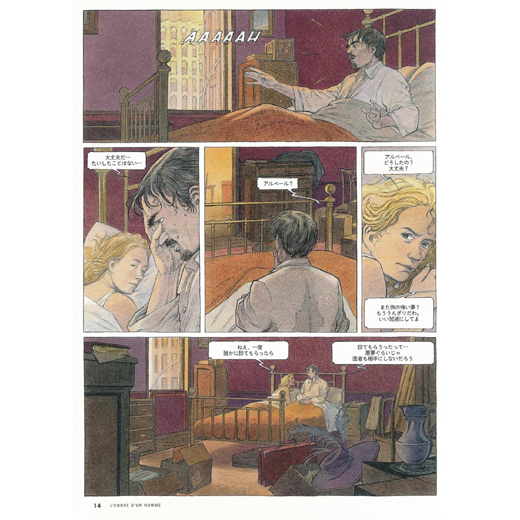 The first volume won the Gaiman Award for best translated album in 2012 and the prestigieus Grand Prize Manga in the Japan Arts Festival. 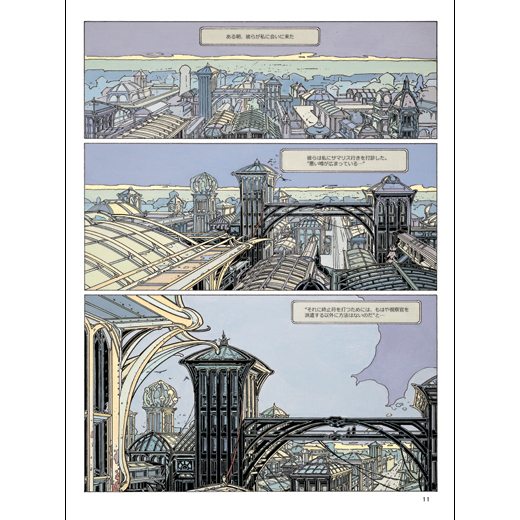 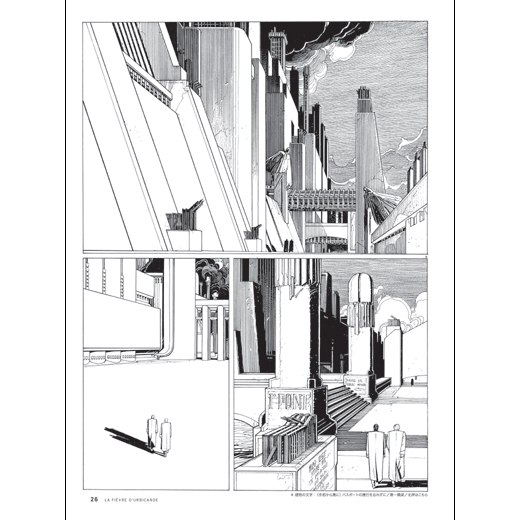 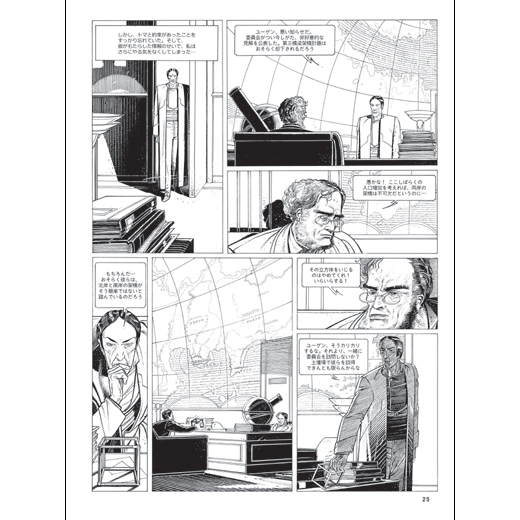 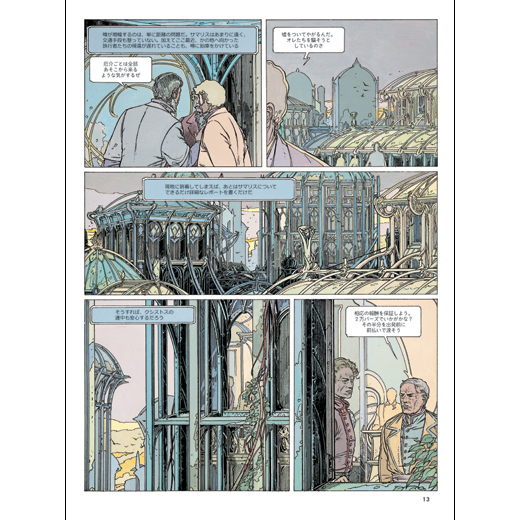 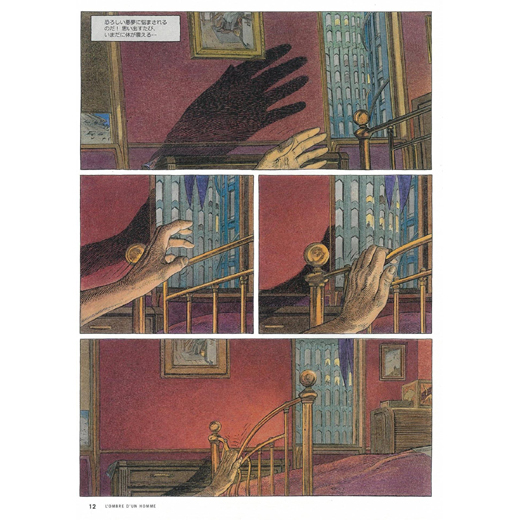 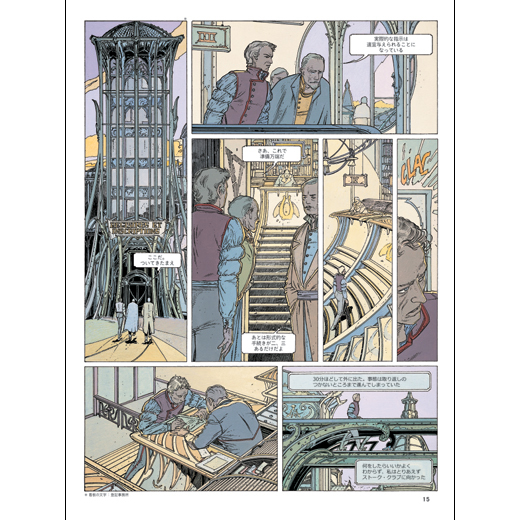 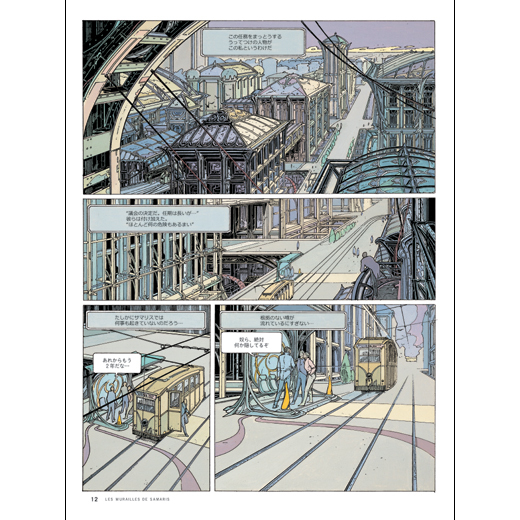 François Schuiten and Benoît Peeters are the first foreign artists to receive this Grand Prize. 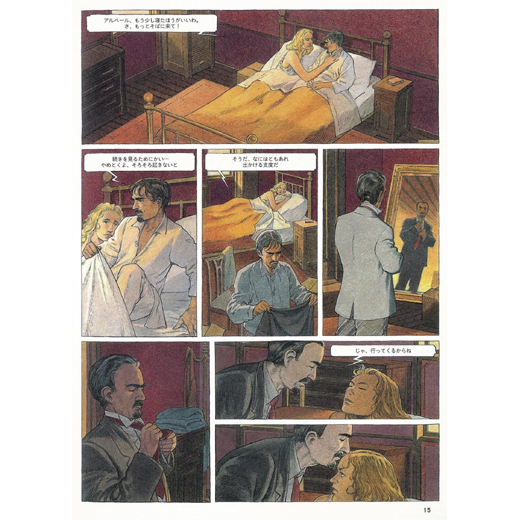 Some examples of the Japanse pages. 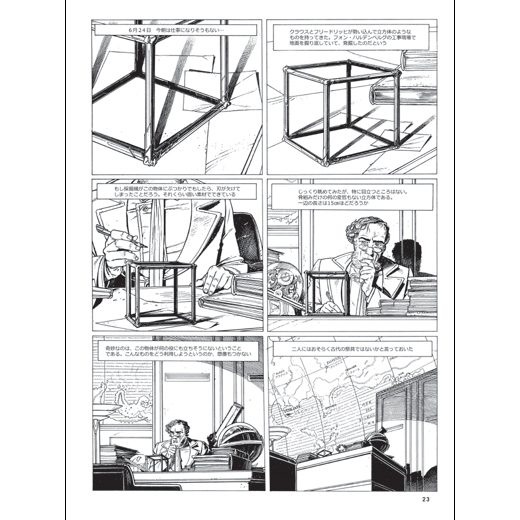 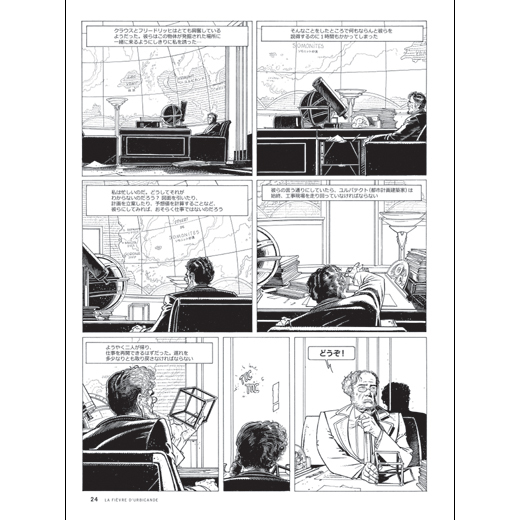 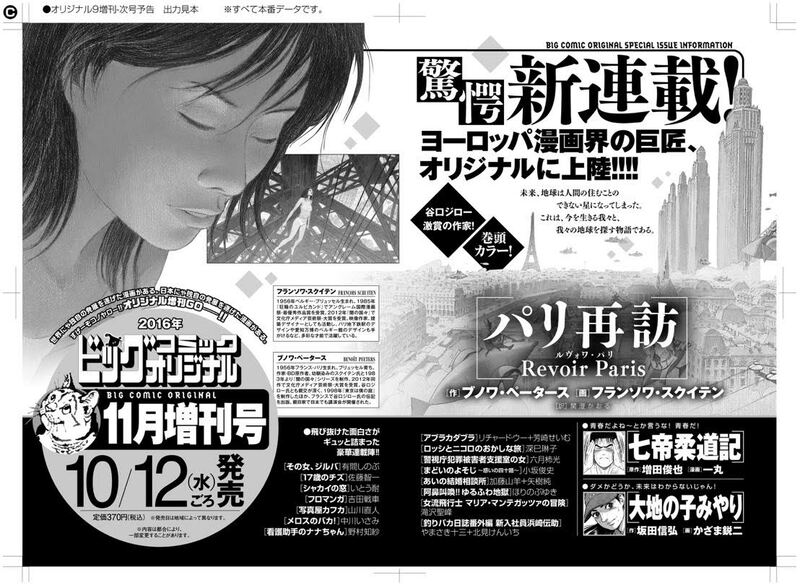 Revoir Paris will be published in the important Japanse magazine Big Comic Original 2). 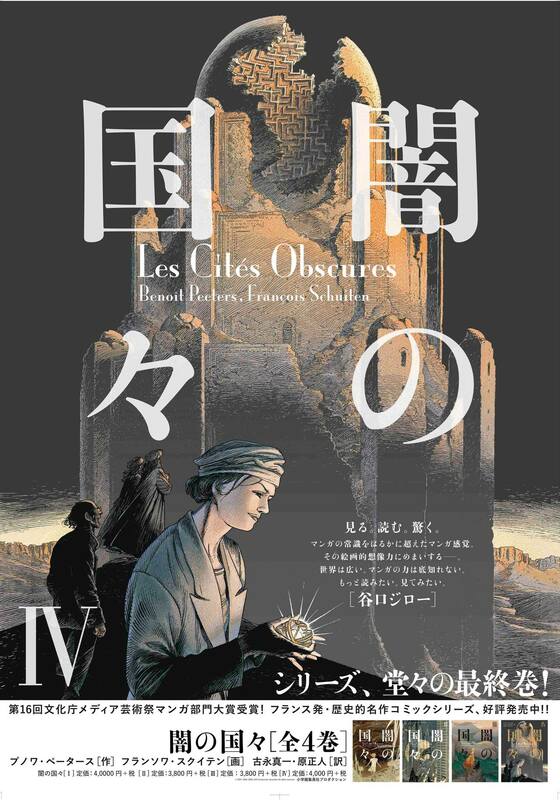 The story will be published in 6 parts starting October 2016. 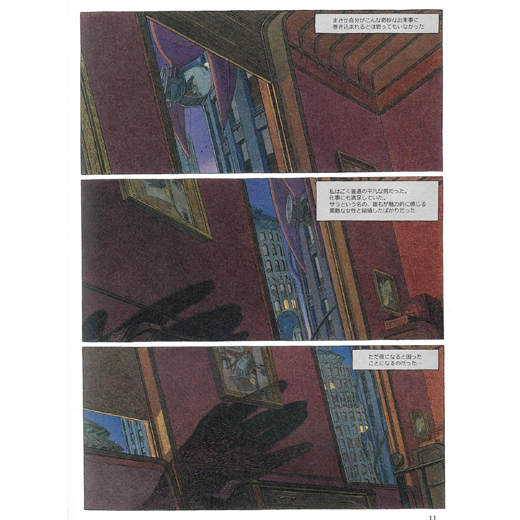 The publication will in the Japanese way of reading. 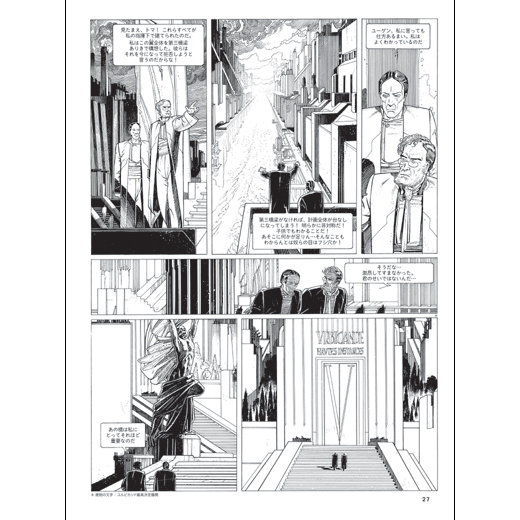 Except for the first page all pages will be in black and white. 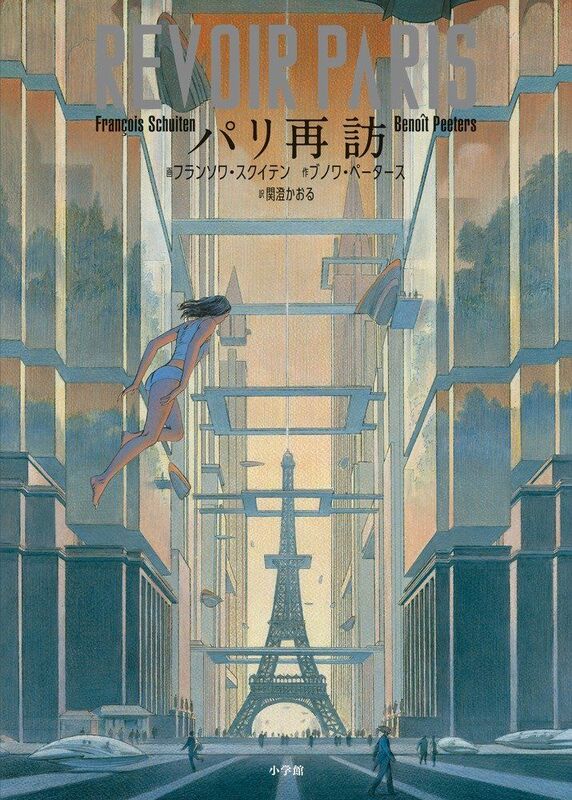 In 2018 小学館 (Shogakkan) published the integral edition of Revoir Paris as a Japanese edition.